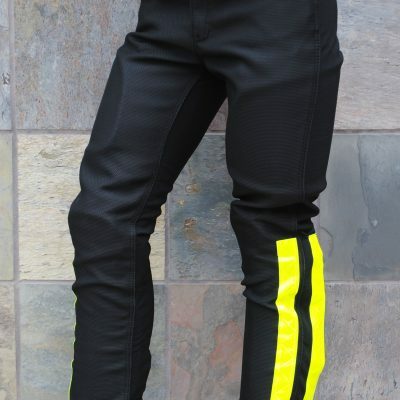 The GP2 Pant is the only synthetic pant that can be worn road racing. Approved by AMA, Werra, ARMA, AMF etc.. The entire pant is made with a four way Stretch blend that is 5 times stronger than leather. The Stretch is cooler than perforated leather. This pant is made to be worn with only underwear underneath. The comfortable riding temperature range is 50f. to 120f. For cold/wet weather it is possible to wear high tech thermal underwear underneath, along with a rain pant to go over the top. The blend is made with three threads woven together, materials Made with Dupont™ Kevlar® Fiber/Dynatec/Lycra. Click on “Save Your Hide” to see more on material tear/abrasion strengths. Click on “Testimonials and read the stories about our customers and how they love their Suits. We combine the best pant material, over a 2000 pound seam strength, along with best coverage of armor compared to any other road racing pant. This combination makes the GP-2 the most protective road racing pant along with the most comfortable. Made in the USA, custom to fit perfect for any rider any size. • Entire outer shell is made of 4-way Stretch for comfort. The material will not conduct cold or heat like leather or nylon, so even the black color works great for hot weather. Note: All the current black Stretch is made with a new invention called “Cold Black”. The new black color made with this Cold Black stays 15 Degrees cooler than the previous black color. When touching the material it is actually feels cold. The Cold Black is in the dye of the material and will always work. • World’s top rated, lightweight, perforated Tri-Armor that covers: Full wrap around thigh and knee shin. All Tri-Armor is in Velcro secured pockets and can be removed. Motoport’s Tri-Armor covers more of the body that any other motorcycle apparel available. This provides the world’s best coverage for impact protection. Tri-Armor molds to the body in 30 minutes or less. After initial break the armor becomes comfortable with no restriction of movement. The perforated armor doesn’t make the pant warmer in hot weather. The armor pulls the suit material away from the skin providing an air space, allowing the armor to breathe CLICK HERE to view the pant Tri-Armor. • Closed cell EVA perforated foam is sewn into the upper hip area. Motoport can’t use the Tri-Armor in the hip area. Anything thick or stiff will dig into the thighs when in a riding position. This hip armor is comfortable and adds significant impact protection to the upper hips. • Double layers of Stretch in 64% of the pant. These double layers allow the racer to crash and in most cases, still wear the pant in the next race. Note: Double layers are not necessary for street riding. 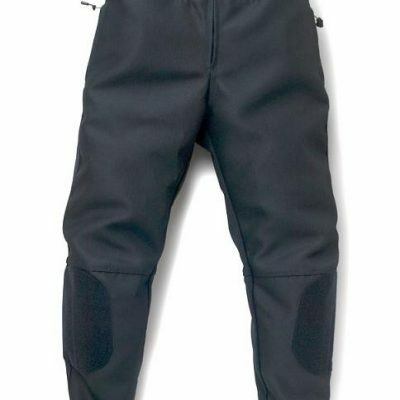 • The GP-2 pant averages 2 to 4 lbs. lighter than leather pants. • Two zippered outside upper hip pockets. • A four inch waist stretch panel that makes putting on pants easier, and provides a comfortable fit. This feature is important especially during long races or rides. • Leg cuff zippers with Velcro closures that lock the zippers in place. Standard cuffs tuck into the boots. • Heavy duty fly zipper with Velcro closure. • Velcro patches for knee sliders. Please advise if you don’t want the Velcro patches for knee sliders. • All critical seams are Safety Lock Stitched with five threads woven on the inside, triple stitched over the top. Each thread has over 100lbs. tear strength. THE GP2-PANT HAS OVER 2000LBS. SEAM STRENGTH. • Full circumference heavy duty zipper in the waist area to connect to the GP2 Jacket or other jackets. This pant must be zipped to a jacket and should not be worn with a 3/4 length jacket. 3/4 length jackets should not zip to connect to a pant. All of the Motoport waist cut jackets can be zipped to the GP-2 Pant. 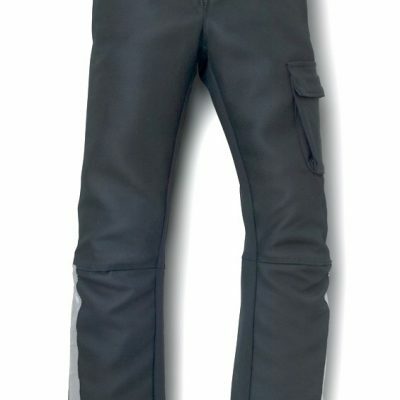 For a similar pant style that can be worn with a 3/4 length jacket and does not need to be zipped, see the Police Pant. • All zippers are YKK. • Quad-Armor A four-layer system that is the highest rated impact-absorbing armor in the world. Quad-Armor protects full knee/shin and full wrap around thigh armor. Quad-Armor has passed and exceeded the new EN Certification and covers more of the body than any other brand. See Quad-Armor in the ARMOR Section. $129.00. To read more about Quad-Armor and Motoport’s crash studies click on “Must Read Articles”. • The GP2 Pant is worn inside the boot or can be ordered to have zip/Velcro cuffs outside the boot. The optional Zip/Velcro cuff to go over the boot is $29.00. • Cargo pockets $19.00 each. 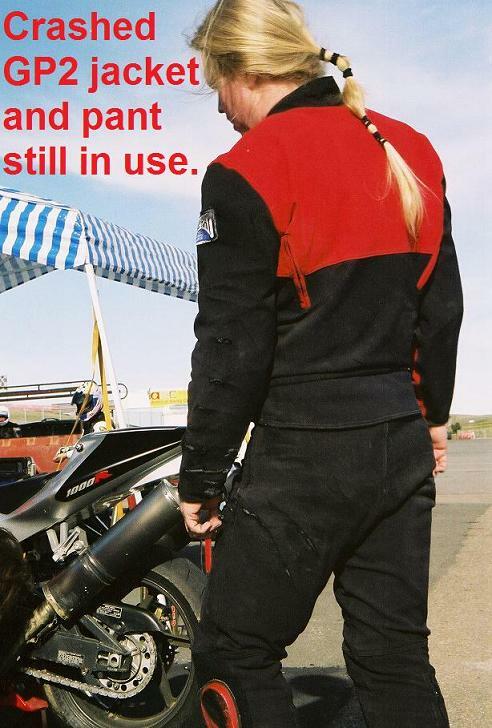 The GP-2 Pant has the highest tear strength over any other brand of motorcycle pant ever made, 420 pounds! The best competition grade leather tears at 110 pounds. In many cases just after a few months of use the leather looses tear/abrasion strength and can tear/abrade at a low speed tumble! Each time leather gets wet and dries the material can lose up to 20% tear/abrasion strength. Even after ten years of use the GP-2 pant maintains it original tear/abrasion strength. • Stretch colors: black, gray, red, blue and bright yellow. • To support the claims made by Motoport about materials Made with Dupont™ Kevlar® Fiber, and to confirm the protective/long lasting qualities of this clothing , this garment has a 7-year warranty.